It’s easy to point out the obvious. The Golden State Warriors were a better and deeper team than the Cleveland Cavaliers, and LeBron James couldn’t win the title entirely on his own. 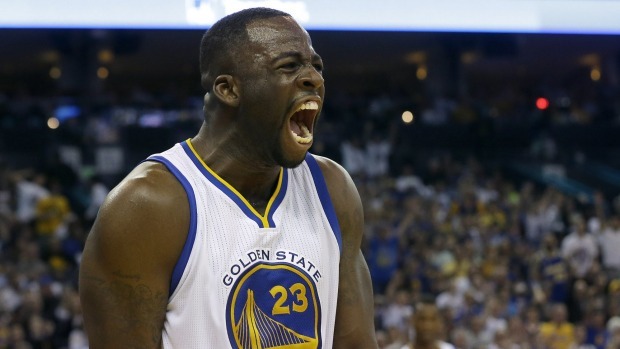 For me, though, it came down to one player on the Warriors: Draymond Green. Green, the 25 year old forward who came from Michigan State, is the heart of this team. He brings the swagger, intensity and fire that drives the entire Warriors team to play their best basketball. He can drive to the rim, pass and even nail the open three-pointers that so often come to him because of the attention Stephen Curry and Klay Thompson get around the perimeter. He’s also one of their best defensive players on a team where defense is quietly the number one priority. But in the first three games of the NBA Finals, that Green didn’t show up. It came to no surprise to me that the Warriors found themselves down 2-1 in the series. In the first three games, two of which were played @ the Warriors, Green struggled big time. He shot a combined 8-30 from the field (26%), and couldn’t knock down the wide open threes he hit all season long (1-8 from 3). When he was on the court in those three games, the Warriors were outscored by a combined 14 points. His lack of production was a big reason the Warriors were down 2-1 going into game four. In the last three games, all of which the Warriors won with ease, Green showed up. He shot 16-33 (48%) from the field and hit four big three-pointers. When he was on the floor, the Warriors outscored the Cavs by a combined 50 points! That’s a huge difference, and Green’s triple double (16p, 11r, 10a) in game six was a perfect ending to a great season Green had for the Warriors. Sure, Steph Curry and the rest of the Warriors played great in those last three games too. Without Green’s offensive production and defensive presence, though, this series could have went a completely different way. His leadership and intensity lifted the team all year, and he was arguably and quietly this team’s MVP the entire season.